-The Asheville Regional Airport, the second fastest-growing small hub airports in the U.S., announced two new flights recently. First up, there’s a new United Airlines non-stop flight from Asheville to Washington Dulles International Airport starting on or after Feb. 14. The route will be available twice daily on United, with daily departures planned for noon and 5 p.m. The other new flight is an American Airlines non-stop flight from Asheville to Philadelphia International Airport starting on or after May 3. Local travelers can make an appointment for enrollment online by completing the initial enrollment information, then selecting Asheville from the drop-down menu (on the last screen of the initial enrollment) to make an appointment. 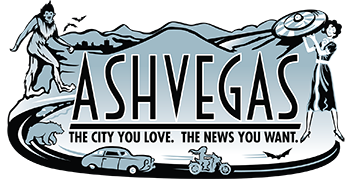 A link to the on-line application is provided at flyavl.com. Applicants can then complete their enrollment in-person at the application center during their appointment. The application fee is $85 and is good for five years. It can be paid at the time of your appointment by credit card, money order, company check, or certified/cashier’s check. Cash and personal checks are not accepted. Enrollees will need to bring documentation proving identity and citizenship status. And fingerprints are collected during the in-person enrollment session. After completing enrollment, successful applicants will receive a Known Traveler Number (KTN) via U.S. mail within a few days that is valid for five years. The enrollee should enter the provided KTN in the “Known Traveler Number” field when booking airline reservations. The KTN also can be added when booking reservations online via a participating airline website, via phone call to the airline reservation center, or with the travel management company making your reservations. Additionally, the KTN can be entered in participating airline frequent flyer profiles, where it will be stored for future reservations made directly from your profile. -Did you see this video of fighter jets roaring through the Linville Gorge recently? -And did you see this video highlight reel of the Green River Race this past weekend? Amazing! I bought amazing sourdough rye at Rise Above on Charlotte Highway on Sunday!